Início Aviação América do Norte A regionalização (integração) das unidades de aviação policial funciona? Um dos assuntos mais discutidos, quando se fala em aviação policial nos Estados Unidos da América, são os custos inerentes a essa atividade, principalmente nos tempos de crise. Esse assunto não é diferente nos demais países do mundo que possuem aviação policial. Já publicamos diversos artigos e estudos no site PilotoPolicial sobre novos investimentos e cortes de gastos que ocorrem aqui e no mundo. Uma das soluções encontradas nos EUA para, entre outras coisas, diminuir custos é a regionalização (integração) das unidades aéreas, ou seja, uma unidade aérea que opera para várias agências policiais, seja municipal ou estadual. Os exemplos não são muito felizes para transportá-los para o Brasil, devido as características peculiares dos EUA, mas podemos refletir as experiências, mesmo porque, já existem no Brasil, unidades de Aviação Policial integradas, como por exemplo, no Acre, Ceará, Mato Grosso, Mato Grosso do Sul, Rio Grande do Norte, Pernambuco, entre outros. Essas Unidades integram a Polícia Militar, Corpo de Bombeiros e Polícia Civil (órgãos estaduais). Vale lembrar que as atribuições constitucionais dos órgão de segurança pública são diferentes, entretanto, o que está em foco aqui, são os custos e não as competências de cada órgão. Esse assunto demanda muita reflexão e avaliação dos atuais paradigmas. Para entender melhor, leia o artigo original em inglês, de autoria de Kenneth J. Solosky (Piloto Chefe/Diretor de Treinamento da Unidade de Aviação NYPD) publicado no site LawOfficer: Airborne Law Enforcement: Can Regionalization Work?. Airborne Law Enforcement: Can Regionalization Work? The fiscal picture, particularly municipal budgets, continues to be shaky at best. With many local and state governments struggling to balance their budgets and hold the line on taxes, the challenges seem to mount. Agencies are being asked to do more with less. The ugly prospect of layoffs has already hit some agencies, and they loom large for others. The tough question for law enforcement administration is how to continue to provide for the safety of the communities they serve and the working officers. Are there any solutions that can be implemented that can save money yet still provide essential services? Regionalization of certain responsibilities and resources has been explored in the past with mixed results. The idea of one police academy, one police laboratory and one very specialized unit serving several jurisdictions seems like a wonderful idea. Although useful and practical, airborne law enforcement is expensive. Is regionalization an idea that can work? The critics of regionalization point out the pitfalls that have doomed previous efforts. How much of a financial share does each agency have to burden? If four agencies participate in a regional airborne law enforcement unit but one agency only uses the unit about once a month, should they be expected to pay 25% of the budget? What about dispatch priorities? If the airborne law enforcement unit is working an active perpetrator search in Jurisdiction A and a vehicle pursuit begins in Jurisdiction B, who gets priority to use the aircraft? Sadly, what has often been the largest issue, largely out of the control of the regional airborne unit, is the personality of politics. The regional unit is running fine, the officers on the ground are enjoying excellent support and then politics among elected officials causes one jurisdiction to drop out. The reason is most often a clash of personalities rather than financial. Obviously, the greatest advantage is cost savings. Spreading out the costs across several municipalities saves money and allows them to still provide the service. The best way to make sure regionalization works is to ensure all parties involved know the expectations and limitations of the airborne unit. Have a written agreement that clearly defines response priorities. Obviously, imminent life threats have priority over all else but what about when all four jurisdictions want the aircraft for their Memorial Day parades and related events. How will the resource be allocated? One way to address the question of an agency using the aircraft sparingly is to have an annual fixed cost that provides for hangar rental, certain scheduled maintenance items, insurance, etc., and they pay per hour if the resource is used. Example: If the city police use the aircraft 70% of the time and a rural jurisdiction only uses it 5%, then each agency would pay for only the time is used. Obviously, this adds an administrative burden for the regional airborne unit as costs, and records must be precisely maintained. The St. Louis County PD has operated an aviation unit since 1971, and the St. Louis City PD started airborne operations in 1996 with a surplus OH58. In 2003, St. Louis City PD were considering shutting down their aviation unit. In addition, St. Louis County drastically cut back airborne operations. Ironically, at the same time, the St. Charles County Sheriff’s Department was interested in starting an aviation unit. All three agencies were able to sit down and discuss the possibilities of a regional unit. This would help eliminate some of the budget constraints and stop the duplication of effort. In July 2004, the Metro Air Support Unit was formed, with funding and staffing from St. Louis County PD, St. Louis City PD and the St. Charles County Sheriff’s Department. 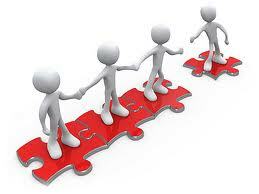 A nonprofit foundation was formed as well to assist in funding and building corporate partnerships. The foundation assists in funding equipment that’s beyond the scope of the municipal budget. The regional operation opened the door for federal and state grants, totaling more than $3 million, including the funding for a new MD500E. The Metro Air Support Unit of St. Louis has now been in operation for five years and the multi-jurisdictional unit has received a great deal of support from the political forces of all three jurisdictions. Today, the unit operates six helicopters, three MD500E’s, three OH6’s and one Cessna 172. It covers 1,500 square miles, with a population served of more than 1.5 million. “The bottom line is that without the regional effort, we would have had to shut down our airborne law enforcement operations like many other jurisdictions,” said Capt. Kurt Frisz, St. Louis County PD and eastern region director of the Airborne Law Enforcement Association. The southern Wisconsin Law Enforcement Aviation Coalition (LEAC), better known as the Air-One Search & Rescue helicopter program is a progressive program that has proved successful in northern Illinois. 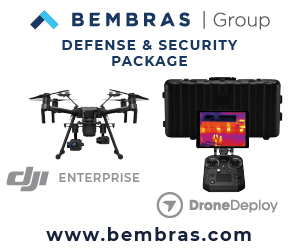 This program supports several agencies that together provide air support to fire, EMS and law enforcement agencies throughout the Northern Illinois and Southern Wisconsin region. These helicopters are frequently called upon by local agencies that would otherwise not have airborne capabilities available. In just a few short years, LEAC has been able to grow from one privately owned helicopter to four military surplus aircraft and was recognized for their efforts in the Hurricane Katrina relief operations. It’s natural for law enforcement officers to want to provide the best service in support of our profession. Frankly, few of us care about the politics, but they impact our operations. In these difficult financial times, it’s prudent for us to examine all possibilities with an eye towards getting the mission done safely and effectively. A integração das aviações é um processo necessário e salutar com relação a operacionalidade das instituições, e profícuo na redução dos custos. Contudo, o que ocorre no País é a unificação, como é o caso do Ceará, Mato Grosso,e outros estados. Este modelo é danoso para as instituições que perdem em autonomia, operacionalidade e identidade. Acho certo a Policia Militar e Policia Civil atuarem num Grupamento Policial em conjunto um Grande Hangar para as duas Policias Estaduais se estabelecerem mas claro os comandos das POLICIAIS separados digo economizar em HANGARES ALUGUEIS etc etc ! A AVIAÇAO POLICIAL no Brasil tem se modernizar e mostrar para que veio ! Pois custo para contribuinte e muito caro ! Tenho que discordar do nosso amigo Roger Santana. Tenho certeza que a integração funciona. 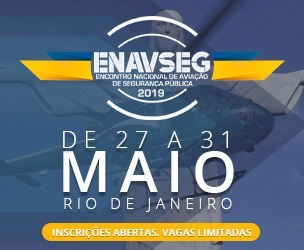 Estive por 06 (seis) meses no CIOPAER do Estado do CEARÁ e pude observar que lá funciona um modelo para todo o Brasil de integração entre a Polícia Militar, Bombeiro Militar e Polícia Civil nas atividades de aviação policial. As três instituições usufruem perfeitamente dos helicópteros em ações de salvamento, patrulhamento e até mesmo em ações investigativas. Se no Ceará funciona, por que nos demais Estados não funcionaria?? É com grata satisfação que faço parte de um grupamento aéreo integrado,CIOPAER – CE, onde cada instituição tem seu valor e se integram de maneira salutar, participando tanto de Op. bomberisticas,desde resgates e salvamentos qto de combate a incendio, assim como tbm em Op. policiais de patrulhamento aéreo dando suporte a operações policiais. Na Policia Militar e Policia Civil nao pode ter disputa de BELEZA os CHEFES das duas instituiçoes POLICIAIS tem Obrigaçao de COBRAR do governo condiçoes de Trabalho aos policiais no Policiamento aereo as duas isntiuiçoes tem Obrigaçao em Trabalhar em conjunto um Super Hangar EQUIPAMENTOS para as duas Policiais estaduais com aeronaves com FLIR E FAROL de busca essencial para serviço POLICIAL ! Acho que o maior desafio em termos de Brasil é agir tecnicamente. Quando se fala em integração de uma unidade de aviação, temos de pensar em demanda e custos de operação. 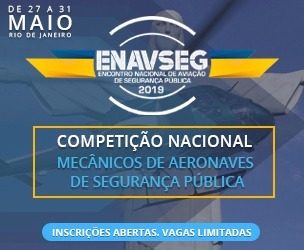 Será que é viável uma aeronave para polícia civil, uma para a militar, outra para os bombeiros e assim vai com a demanda de regiões fora dos grandes eixos metropolitanos do Brasil ? Por uma aeronave no pátio é facil e “barato”, o difícil e caro é manter a aeronave no pátio o ano inteiro operando, anos a fio. Lembrando ainda a máxima da aviação : “Quem tem uma aeronave, não tem nenhuma. Quem tem duas, tem uma”. Gostaria de saber a opinião do pessoal de manutenção. Do ponto de vista da MANUTENÇÃO e ainda mais conveniente falar do ponto de vista das Seções de Controle Técnico e Registro de Manutenção, é inviável ter uma aeronave para cada uma das instituições, Civis e Militares, isso sobrecarrega o pessoal de Divisão Operacional em administrar o veículo Aeronave para atendimento. Sugiro, ainda baseado no “Quem tem duas, tem uma e quem tem uma, não tem nenhuma” o planejamento de missões e lembrar que uma aeronave, é sim uma viatura e não um meio de agilizar os deslocamentos de “Autoridades”… No Estado do Ceará é funcional esse modelo de operação mas e em São Paulo…? Onde Civis e Militares há tão pouco tempo confrontaram-se nas imediações do Palácio dos Bandeirantes – sede do governo estadual. As forças Policiais estaduais Policia Militar e Civil precisam se modernizar como a socieadade o RANÇO dessas instituicoes o povo nao aguenta mais , os serviços policiais aereos tem grande simpatia e apoio da populaçao ai que as forças policiais estaduais tem saber ganhar mais simpatia e apoio da populaçao nun modo geral ! Porque nao uma Grande divisao Policial aerea em conjunto ???? BASTANTE PERTINENTE E ATUAL ESSE ASSUNTO. EM ESTADOS PEQUENOS, CUJO “PIB” NÃO É LÁ GRANDE COISA, E CUJOS ÓRGÃOS DE SEGURANÇA PÚBLICA (PM, CBM E PC) SÃO SUBORDINADOS A UMA ÚNICA SECRETARIA, A EXISTÊNCIA DE UM ÚNICO GRUPAMENTO AÉREO, O QUAL DEVE SER COMPOSTO POR PROFISSIONAIS DE TODOS OS ÓRGÃOS JÁ CITADOS, É A SOLUÇÃO !!! CLARO QUE ISSO DEVE SER FRUTO DE UMA FORTE POLÍTICA DE INTEGRAÇÃO, ONDE A ÚNICA BANDEIRA DEVE SER A DE “BEM SERVIR A SOCIEDADE”. AQUI EM PERNAMBUCO POR EXEMPLO, CUJO GRUPAMENTO DENOMINA-SE “GTA” (GRUPAMENTO TÁTICO AÉREO), ESTAMOS EM FASE DE ADAPTAÇÃO A ESSA UNIFICAÇÃO, E ACREDITO ESTARMOS NO CAMINHO CERTO. Tenho orgulho de fazer parte de um Grupamento Aéreo Integrado, onde, não importando a Corporação, todos os integrantes trabalham para bem servir à sociedade. Na nossa CIOPAER não existem ranços entre os integrantes, as diversas categorias de servidores mantêm uma convivência harmônica e bastante salutar e os resultados são atingidos em conjunto. Saibam os senhores que, independente da missão, seja policial ou bombeirística, todos os integrantes estão prontos para agirem e obterem um resultado de excelência. Apresenteu uma monografia em uma pós-graduação na Universidade Federal do Ceará sobre essa integração. Nesse trabalho consegui mostrar os verdadeiros benefícios de uma polícia integrada em prol da sociedade. Cite-se o fato de o nosso Grupamento Aéreo ter autonomia e de conseguir atender às necessidades operacionais da Segurança Pública do Estado, independente da Corporação. Devemos ter em mente, senhores, que o nosso cliente, a população, merece um serviço de excelência e que nossas ações têm que ser pautadas na eficiência, independente da Corporação a que pertençamos. NOSSA REALIDADE AQUI NO GTA DE PERNAMBUCO É SEMELHANTE A DE VCs AÍ NO CEARÁ, SÓ QUE COM A PECULIARIDADE DE JÁ TERMOS SIDO INTEGRADOS, EM NOSSA FUNDAÇÃO (GRAER), DEPOIS PASSAMOS PARA A PM (CITAER), E EM 2007 VOLTAMOS A SER INTEGRADOS (GTA). ACREDITO QUE A INTEGRAÇÃO É O CAMINHO CERTO PRA NÓS AQUI EM PERNAMBUCO. SE NÃO FOR PEDIR MUITO, GOSTARIA DE MANTER CONTATO MAIS ESTREITO CONTIGO ACERCA DE VOSSA MONOGRAFIA SOBRE INTEGRAÇÃO ([email protected]mail.com). Parabens TEN POLICIAL Clerison profissionais como vc com pensamentos a caminho da modernizaçao Policial no Brasil tanto no serviço aereo Policial quanto ostensivo preventivo de viaturas Policiais que precisamos a Uniao faz a Força ! A sociedade e nosso cliente RANÇOS CORPORATIVOS ninguem aguenta mais PROFISSIONALISMO POLICIAL no Brasil que Precisamos cada vez Mais ! Segurança Operacional – Quem tem as respostas?